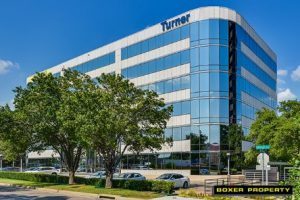 February 1, 2018 (DALLAS, TX) – Boxer Property, a Houston-based commercial real estate firm, announced today that it has concluded multi-year lease negotiations with APC Workforce Solutions, LLC dba ZeroChaos for 16,549 square feet of office space at 10100 North Central Expressway in Dallas, TX. ZeroChaos is a workforce management solutions provider assisting organizations with cost management and optimization of their clients’ workforce and talent supply chains. 10100 North Central Expressway has 94,294 square feet of office space for rent. The six-floor office building features an upgraded lobby with polished granite floors. Amenities at the property include 24-hour secure keycard access, on-site management and maintenance services, ample surface and garage parking and access to an online Tenant Center. ZeroChaos’ award-winning solutions, including its vendor-neutral Managed Services Program, allow organizations to overcome contingent workforce challenges including poor talent quality, lack of visibility, poor cost management, inefficient processes and lack of leverage. Headquartered in Orlando, ZeroChaos has global operations in the Americas, Europe and Asia. For more information, visit www.zerochaos.com. Next Next post: Office Space Design Trends: What’s Next for 2018 and Beyond?